Nexus One Developers To Get Android 2.3 (Gingerbread) Update "In The Next Few Days"
Google has been sitting on its latest Android update, teasing the masses with mentions of its SDK release and the possibility of a Nexus Two smartphone powered by the new firmware. As with any major update to its mobile operating system, Google tends to release the update to developers first, allowing app creators and Android aficionados to update their apps and tweak handsets before the public release is seeded to the public. 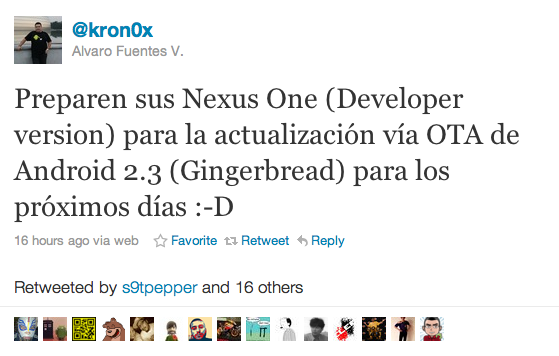 A release date for the Android 2.3 (Gingerbread) firmware update has long been subject to speculation but a tweet, highlighted by TechCrunch, from Alvaro Fuentes, a prominent figure on the Open Handset Alliance’s “Leadership Team” has seemingly lifted the lid on the updates’ availability with Nexus One developers set to receive the Gingerbread firmware in the “next few days”. November 11, the rumoured release date for Android 2.3, now sounds entirely plausible. 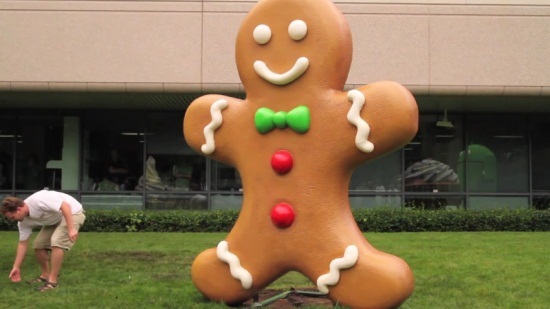 Nexus One owners will almost certainly be the first to receive the Gingerbread update, an update that will not need to be adapted by mobile operators beforehand and will be pushed by Google directly to Nexus One handsets. We will update you as soon as things develop, Nexus One owners should meanwhile remain alert, an update could just pop up on your phone in the next week.